Rooker Hall may be the baby of East Campus Village (ECV), however living in Rooker truly demonstrates that wonderful things come in small packages. Since 2004, 246 residents have proudly called Rooker Hall “home.” Living in ECV comes with various responsibilities; for the 2014-2015 academic year, residents have the option of choosing to sign a nine-month housing contract instead of 11.5-month contract. They can also choose from five different apartment styles, each fully furnished. Residents also get to enjoy their own private bedroom and some even have the luxury of a private bathroom! Residents also enjoy the 24-hour visitation policy in Rooker. Additionally, each floor has a study room for residents who can’t study in their apartment or are too tired to travel to the Miller Learning Center. Rooker Hall also has a computer lab and printer that is accessible 24 hours a day. Rooker Hall is also home to UGA varsity athletes. Swimmers, baseball players, wrestlers, football players, equestrians, tennis players, track and cross country, basketball players, golf and Gym Dawgs all call East Campus Village home, including Rooker Hall. Imagine being able to see your favorite Dawg on television and also live right across from them! 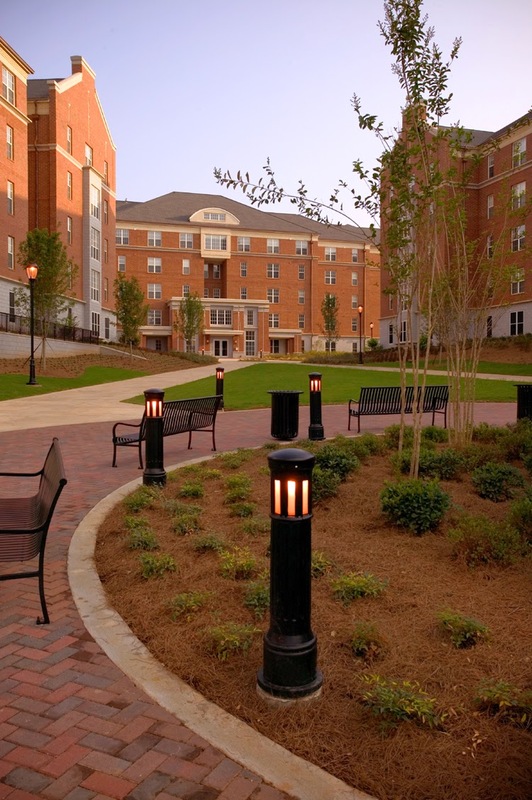 Residents who have the pleasure of calling Rooker home can boast about having unlimited access to Fireside Lounge. While Fireside does have a flat screen television, residents who want the true movie theater experience can use the projector to watch their favorite TV shows. Many have hosted various events such as Walking Dead finales and Sunday night football parties. It is the perfect place to host social gatherings due to the close proximity of the community kitchen. When residents aren’t cheering on their beloved Dawgs, Fireside can also be a serene and quiet place to study. 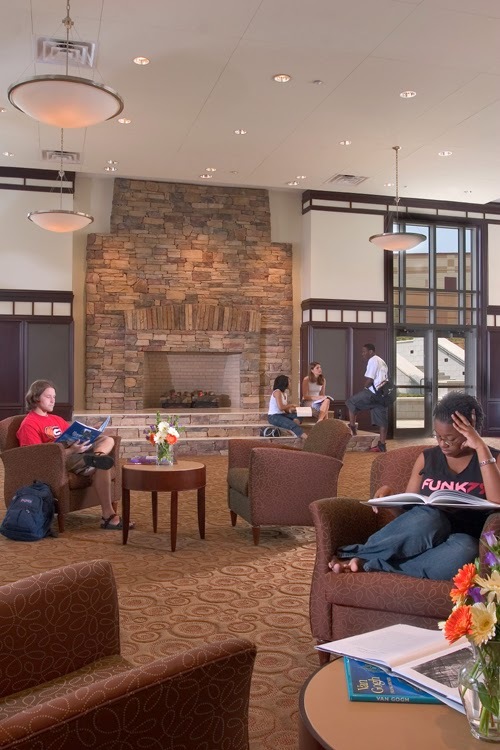 Thanks to the panoramic windows, stone fireplace, and comfortable seating arrangements residents are always taking advantage of this tranquil studying location. Our residents didn’t earn the title of upperclassmen by not being studious. Fireside often doubles as a music studio for the future Mozarts of UGA. Residents frequently use the piano in Fireside to practice for their music classes or to learn how to play “All of Me” by John Legend. Rooker is centrally located and is within walking distance to Ramsey Student Physical Activities Center and the intramural fields. Who wouldn’t enjoy taking a sunset stroll around the lake, relieving stress in the gym or signing up to play flag football? The Joe Frank Harris Commons dining hall is a five-minute walk from Rooker. Residents who enjoy cooking their own meals can also walk across the street to the fresh meat sale that takes place every Friday at the ADS Meat Science Technology Center. Furthermore, when residents are not feeling their best they can walk over to the UGA Health Center and take advantage of various medical services. East Campus seems to be city within itself so cars are optional when you live in Rooker Hall. However, if you must have a vehicle you can choose to park it in either of the two parking decks that are right across the street. 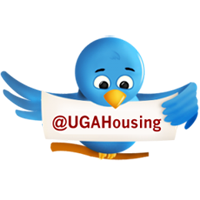 Our residents are not just attending UGA, they are living it! The East Campus Village Board, resident assistants and auxiliaries host a variety of programs weekly that promote diversity, education, personal development, and community building. Programs they have previously hosted include salsa dance lessons, spoken word, horror movie nights, and ‘90s game nights. Each program helps build a sense of community for our residents. An upcoming program that you won’t want to miss is ECV RezFest Carnival that will take place in ECV Quad. Follow us on Twitter @ECV_HALLS or on Facebook @EastCampusVillage to learn the date and time. Jerica Jones is a Residence Hall Director in East Campus Village.